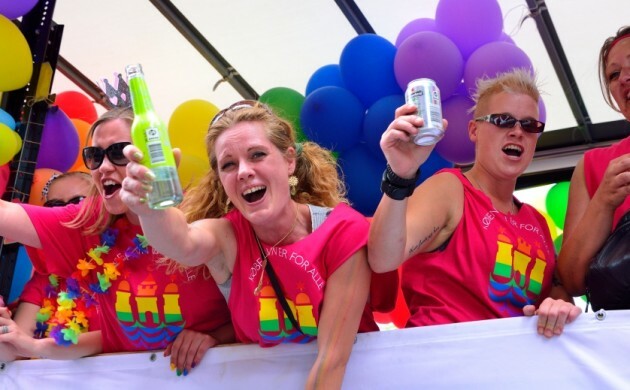 A new report has revealed that the health of the LGBT (Lesbian, Gay, Bisexual and Transgender) community in Denmark is poorer than the rest of the population. The health inequality is reflected in terms of long-term illness, sexual illness and stress, and also by alcohol, cannabis and cigarette consumption. “It’s an important report that gives a unique insight into the health and well-being of the LGBT community, and I want to see if we can aim more health offers in their direction,” said Ninna Thomsen, the deputy mayor for health and care issues in Copenhagen. The report revealed that every sixth homosexual man consumed more than the recommended 21 units of alcohol a week, compared to every tenth heterosexual man, and that more than every fourth homosexual man smoked daily, compared to every sixth heterosexual man. Furthermore, half of the bisexual women feel stressed, compared to under a third of heterosexual women. The report was commissioned for Copenhagen Municipality, which has already discussed the report’s conclusions with several LGBT organisations and urged the government and other municipalities in Denmark to use the report to improve conditions for the LGBT community nationwide. – 49 percent of bisexual women are stressed compared with 28 percent of heterosexual women.